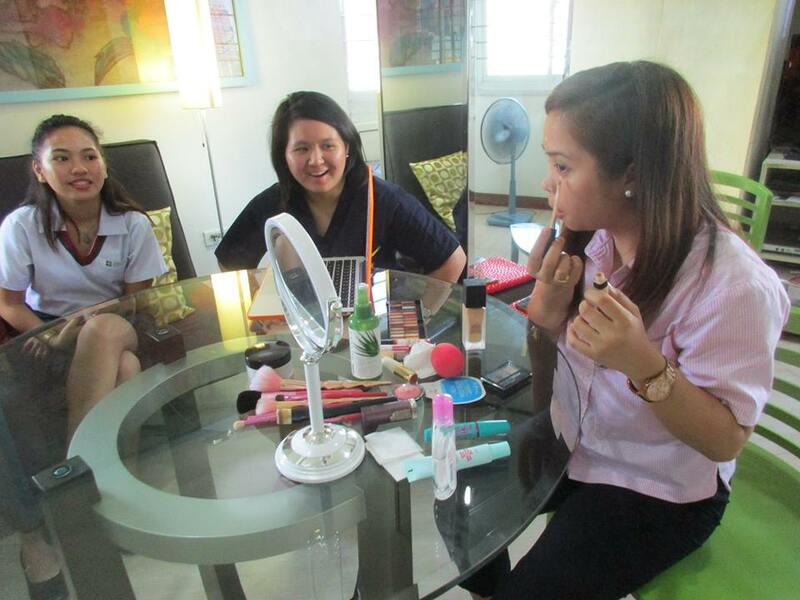 ​Last November 11, Katreena De Guia, a senior architecture student from MAPUA, and one of Kultura's (Iraya's get-together committee) organizers, gave the Iraya girls a step-by-step tutorial on the popular Korean make-up style: the Dewy. The Dewy is also known as the "'No make-up' make-up look," because it only requires a few make-up tools, and the goal is to produce a radiant look. In the Philippines, it has become a go-to make-up style because it suits the country's warm and humid climate. Before applying make-up, it is good to be aware of your skin type and allergies (if any), this way, you already know how your face reacts to certain make-up products and you are aware of which products and brands suit your skin. 2. Set the tone of your skin with foundation. 4. Work on your eyebrows with eyebrow powder, gel or pencil. 5. Add eye shadow (for everyday use, light pink or beige is usually used). 7. Your finishing touch: Apply translucent powder for that glow. Any girl should have her make-up kit ready in her bag so that when the time calls for it (a big event, or even just a regular school day), she can quickly take out her make-up tools, apply the Dewy look, and she's radiant and good to go. When you realize you have spare time, what do you usually do? Maybe it is normal to go on a movie marathon of movies you missed since you were busy studying or maybe it is time to go out with your barkada to celebrate the end of prelims or finals week. For some of us who go to Iraya Study Center, “pag may time, bumibisita kami sa mga mahihirap” (when there is time, we visit the poor). 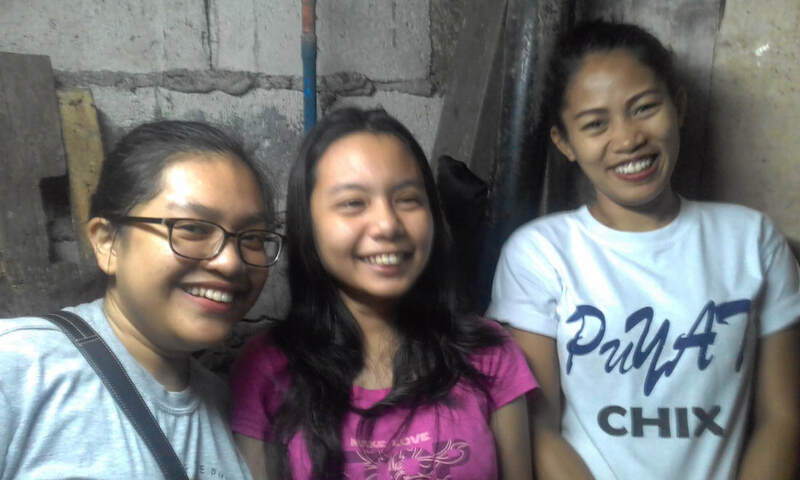 We teach catechism to some girls who live near us in Sulucan street every Saturday. In order to get to know the girls better, we also make time to visit their families. One Saturday in September, Geoffel, Claire and I visited the humble home of Ate Mary Rose. She has three daughters and they live in a small home in one of the many aisles in Sulucan. The space is very small and they have makeshift stairs. They live in the 4th floor while her mother and other relatives live in the 2nd and 3rd floor. Her three-year old daughter is an expert in climbing the maze of stairs (which required quite some skill). In the course of our conversation, we learned Ate Mary Rose was on the family way. She said she wanted to work but she was advised to rest because she was advanced in her pregnancy. While we were talking her two daughters were preparing to attend the Catechism classes that we gave. They freshened up in the common showers near their house. In a giffy, they were all made up and ready for catechism. Before leaving, we gave them a bag of mammon which they can partake of and we gave them prayer cards of St. Josemaria. We explained to them that they can ask him for any favor. In visiting, Ate Mary Rose and her family, we didn’t want to address any social problem as St. Josemaria Escriva, founder of Opus Dei, taught us. We just wanted to get to know a family and cheer them up. Little did we know that we will learn from them too. We learned people can live in dire circumstances and still be happy. At least I learned to appreciate having my own bedroom which, for some people is already the space for their entire house. I guess know I can understand more Pope Francis when he said “Learn from the poor”. Would you like to try learning from the poor too? ​ Volunteers in Iraya Study Center go to visits to the poor and sick every month. Contact us at (02) 354-2745 or contact Be-ann at 0917-871-0607 if you would like to go with us for a visit. Let’s get ready to… Crumble (Banana)! Who said holidays are boring? 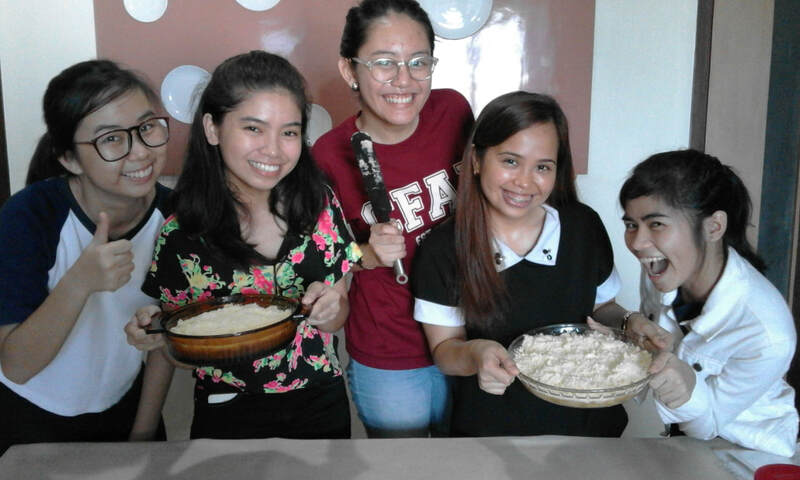 Last August 8, five girls were ready to rumble not in a boxing ring but to learn how to make banana crumble. Ging-ging, the junior staff in Iraya Study Center showed the girls that banana crumble is as easy as 1-2-3. The girls were divided into two groups: one group cut up the saba, a common variety of bananas for cooking while another group prepared what would be the topping or crumble. Afterwards, they also watched the sugar solution boil wherein the cut up bananas were left for a few minutes. These were later on placed on Teflon bowls and topped with the crumble before it was cooked in the oven for 20-30 minutes. While waiting, they were taught different ways of designing the plates. Carlotta, one of the resident volunteers in Iraya, taught them how to make “fork designs” on the plate simply by sprinkling cinnamon on top of the forks to create a fork stencil design on the plate wherein they platted the banana crumble. They each had a chance to show their creativity in platting their own slice. Afterwards, they let the baked banana crumble cool for a bit before topping it with no less than vanilla ice cream. ​"Launch us on the adventure of building bridges... Launch us on the adventure of helping the poor." When I heard these words of Pope Francis during the 32nd World Youth Day in Poland, I immediately thought of the many who are still recovering from the losses during Typhoon Yolanda (Haiyan) in 2013. 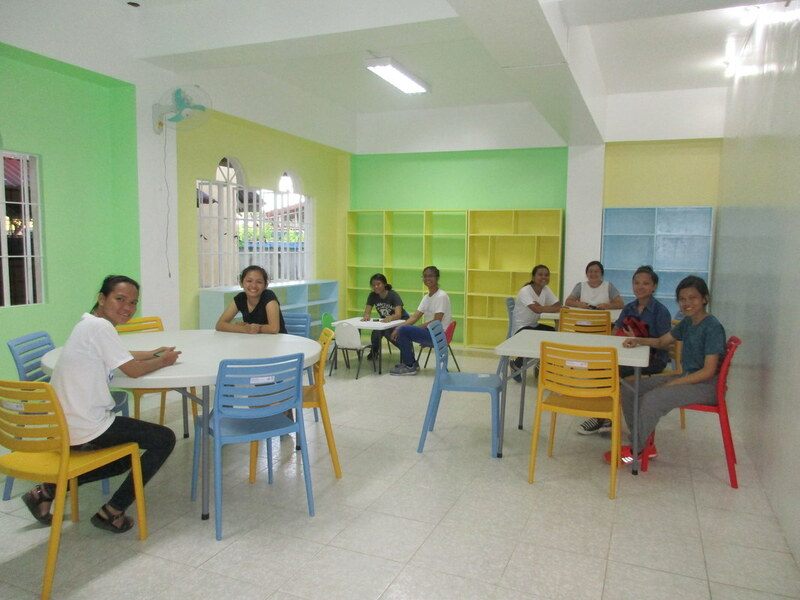 IRAYA is a leadership center for students In Manila. For more than three decades, it has organized outreach trips to different parts of the Philippines. During the Year of Mercy, it finished its 2-year rebuilding program in La Paz, Leyte after Typhoon Yolanda. Iraya Study Center remains committed to helping the poor especially now that Pope Francis has urged the youth to move beyond their comfort zones and to be ready to embrace everyone...the homeless, the hungry, the refugees, etc. On April 17, a group of university and high school students flew to Dulag, Leyte to do a one-week volunteer work in Nuestra Senora de Refugio Parochial School, Inc. NSRPSI serves the children of low income earning families of the parish and neighboring towns, In the onslaught of Typhoon Haiyan in 2013, the school was damaged and has lost many facilities. It is still in the process of building back better and making its structures resilient to typhoons. Its students have poor performance in school due to lack of adequate facilities, lack of discipline and lack of proper attention from teachers and parents. As soon as we reached Dulag, we began preparing for the work ahead. Our usual day was made up of teaching values and study habits in the morning and afternoon to different sets of pupils. On our first day, we were obviously nervous about how the teachers and students of NSRPSI would welcome us. After the first hour, all fears disappeared when we saw the warm giggles and welcoming atmosphere in each classroom. 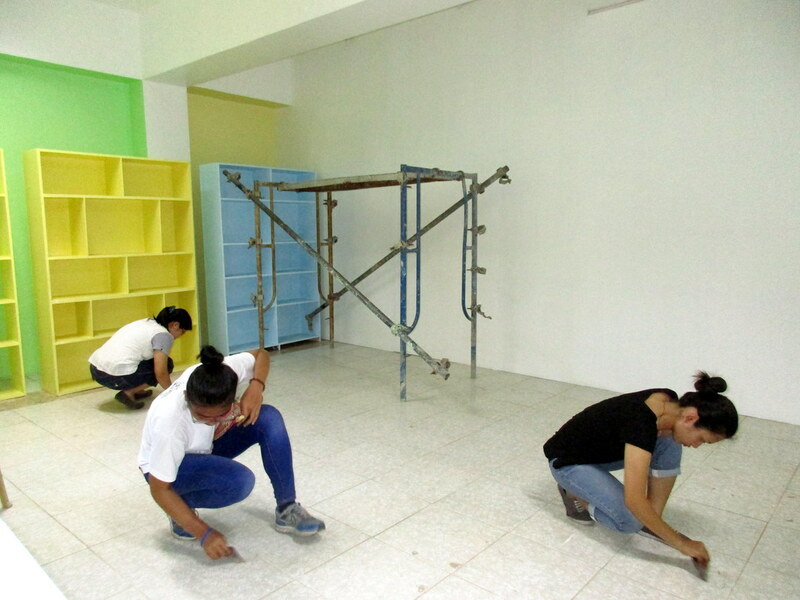 After classes, we would oversee and help in the renovation of the school library and principal's office. The walks along the seaside, catching the waves at Sabang Surf Camp and the solace of the beautiful parish church are just a few of our wonderful moments in Dulag. What made this outreach really meaningful are the people, strangers before, who welcomed us into their school, homes and lives. Just a few days after coming back from Dulag, I received a message from Dianne, "The outreach was so fun and I really enjoyed it. It helped me to improve and to overcome some of my fears. It was a tiring week but worth it. The kids were so adorable. As we left Dulag, I didn't want to say goodbye yet. Perhaps it is because a gap was bridged; in this outreach I built new friendships with my co-volunteers and the people of Dulag." To heed Pope Francis’ “urgent challenge to protect our common home", Iraya Study Center organized an ECOCAMP on May 12-15 with the aim of transmitting the message of LAUDATO SI, his 2nd encyclical published on May 24, 2015. The camp involved volunteer work at Paradise Ranch in Clark Pampanga, a nature and conservation park where students had time to commune with nature and learn new skills like grafting plants, potting, grounds clean-up, etc. In the words of a volunteer, the camp was also an opportunity to meet people who share the same aim of conserving and caring for the environment. By making new friends and among them the Aetas who work at the ranch, it helped her to appreciate and understand those with a cultural background different from hers. ​Last November 21, Lia and I chose to volunteer for the A.R.A.L project for the first time. The project’s objectives were to give Catechism, Math and/or English classes to children in nearby public elementary schools. We decided to join this project in order to gain experience and to broaden our knowledge in the social economy surrounding us so that we can increase our awareness the rising trends and issues. Upon arriving in the activity room of Loreto Church, the children started arriving one by one. They all seemed excited that the room was filled with so much energy. There was healthy noise and restlessness among them that was overwhelming. Before the kids went to Confession, we showed the hygiene kits that they were to receive that day. Eagerly, they named the items inside and their purpose. They were taught that it is not only their physical bodies that must be cleansed, but also their spiritual soul as well. While briefing them on their first communion and confession, I felt happy for them as I remember my own first Holy Communion. I was eager for them to have the same beautiful experience I had. It was like having a flashback from a few years ago when I was in Grade 3 like them and was preparing to receive the Holy Eucharist. I was excited, jumping and even praying more and more for I felt a special attachment to the Lord. After the briefing, we brought them inside the church to practice genuflecting. It was nice to see that the children more or less knew how to genuflect although they needed a little help in doing it more properly. Going back to the center, I felt a lot of emotions coming in all at once. At first there was exhaustion; surprise, then came eagerness and relief. I was so excited for the children to receive the sacrament of the Holy Eucharist. I wanted to share the feeling of my own experience way back when I was in third grade and hopefully, they would feel the same thing or maybe even more during their First Holy Communion. 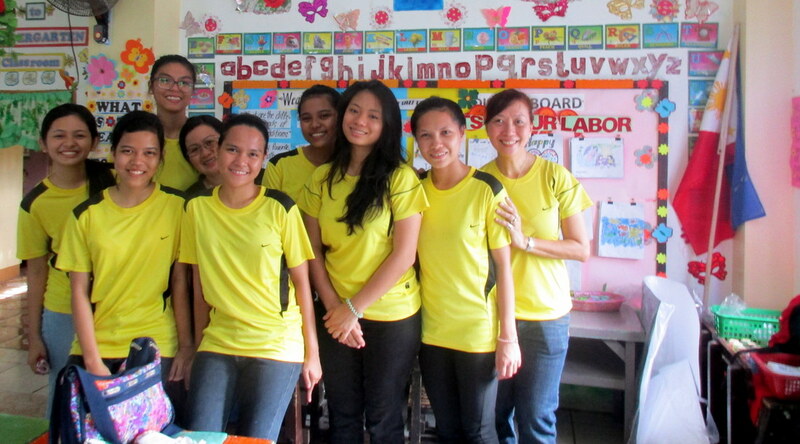 Early this June, we came to teach, visit, and help out in any way we could in Samar. Sometimes I wonder who really is the teacher 'cause at the end of each day there, I felt as if I learned so much more from them.